1. 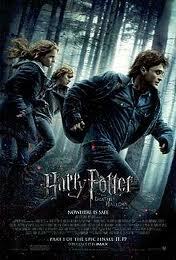 Harry Potter & The Deathly Hallows Pt. 2 - I'll admit it, this is entirely an emotional pick. There are other, perhaps, "better" movies, if you believe the Academy, but as a fan of the gigantic machine that is the Potter franchise, I couldn't have been happier with the final installment of this series. The seventh book has always been my favorite, and it just seems as if everyone involved in the films realized the importance of doing it justice and justice was done. 2. 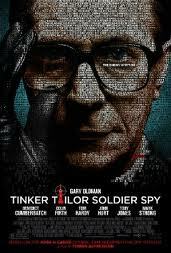 Tinker Tailor Soldier Spy- Incredibly atmospheric, slow-burning suspense, and beautiful performances all around, it's the way spy movies used to be, and thankfully, still can be. Also, it had Benedict Cumberbatch, Colin Firth, Gary Oldman, and Tom Hardy all in the same film, sometimes the same scenes. I'm honestly surprised that a corner of the world didn't implode from the high awesome factor. 3. 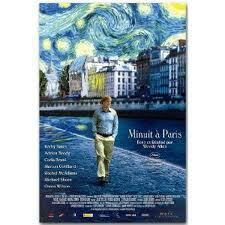 Midnight In Paris-I can't claim to be a fan of all of Woody Allen's work, but I would say that I'm a fan of most of what I've seen of Mr. Allen's. He's a writer's filmmaker and I always love that. In this, apparently the most accessible of his films, reality and fantasy, past and present combine to create the dream-like existence that's the equivalent of heaven for anyone who's ever pondered the possibility of putting their stories to paper. And the unspoken character that is the city of Paris creates an atmosphere that is part exotic, part nostalgic, and more romantic in its banal moments than any residential area has the right to be. 4. The Artist- To say I was cautious about this film would be an understatement. I was worried and attempted to avoid it, for fear of disappointment. But sometimes, the hype is justified, and in this case, it's all rightly earned. 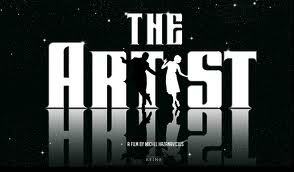 The Artist is a silent movie with so much character and charm that it practically oozes off the screen. If you walk out of this movie feeling worse than you went into it, well, you might want to up your dosage of Cymbalta. 5. Captain America- I love Chris Evans, mostly because he's very, very attractive, with a smarmy kind of charm that I can't resist. He's had several roles that should have made him more of a leading man than he has yet been, up to this point, but his choices are odd, and usually, although his performances are generally claimed to be the best part of any movie he's in, his films tank. So I was, yet again, very nervous about this and attempted to keep my expectations well below "hopeful". 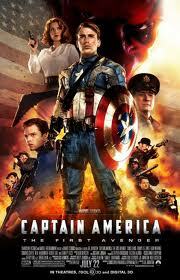 But Captain America is so stylish, and perfectly balanced that it's difficult not to respond to it. 6. Hugo- Again, something of a surprise, I remember seeing the trailer for this movie the first time and contorting my face into an expression that can best be described as "uuuhhh...what?!" especially when the "Directed by Martin Scorsese" card popped up on the screen. I had no idea what to make of a Scorsese children's movie but it turns out that if anyone can direct a family-friendly movie, it's the same guy who brought you the scene where Joe Pesci beats people with a baseball bat. 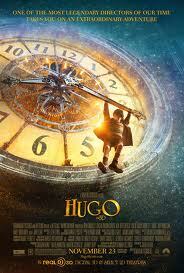 Hugo has beautiful cinematography and an engaging story that is made for movie lovers. Ode, homage, whichever word you choose to use, this is a loving sendup from a man who loves the movies and who wants everyone to feel the same...and by the end, you probably do. 7. 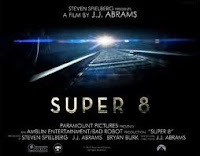 Super 8- I know most people will question this entry, and question away, but the truth is, sometimes I think people are just afraid to admit that they still like feeling happy at the movies. Super 8 is the Spielberg movie that Spielberg didn't necessarily make with his own hands, but whose influence you feel nonetheless. The cast of child actors is truly wonderful, and with moments of adolescent awkwardness mixed with a little bit of heartbreak and a little bit of happiness, I think it's one that's definitely worth a second, or first look, if you managed to skip its theatrical release. 8. 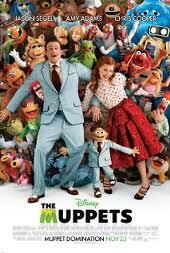 The Muppets- really, what is there not to like about singing, dancing puppets that shaped the childhoods of roughly 60% of the movie-going public, and clucking chickens who belt out a rendition of well, politely put, "Forget You..." (Cluck You)? I'm not entirely certain what people who saw this, and didn't like it, were expecting. But it was so vibrant and relevant, while at the same time being just slightly over-the-top enough to wrangle out some well-deserved laughs that it shouldn't be missed. If you're not at least a little teary-eyed by the time Kermit sings "Pictures in my Head", well then you've missed some important ingredient in the recipe. 9. Paul- released in March, I'm sure this one was forgotten by many, but it's Nick Frost & Simon Pegg, with a Seth Rogen-voiced alien. I'm not entirely certain what there is to dislike. And, as apparently was the theme this year, you can tell that this was a project that was about bringing fun, joy, and some nostalgia back to the movies. More entertaining than it really had any right to be. 10. 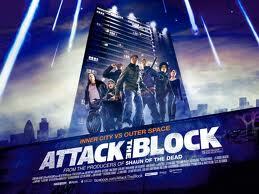 Attack the Block- I had been looking forward to this movie months ahead of its scheduled US release date. If you missed the limited distribution it had in theaters here, see if you can pick it up on demand or from Netflix at some point in the near future. I don't think you'll be disappointed. Again, a group of unknown, mostly young actors, with the exception of a fantastic cameo from a track-suit sporting Nick Frost, it's unexpected, full of great chases and action, and bound to leave a mark.